Startups, small business owners and even large corporations are looking into Bitcoin and blockchain alternative projects. The technological advantages of integrating cryptocurrency payment systems or using blockchain technology for their specific industry purpose are proving to be world changing. These solutions currently include accepting traditional Bitcoin payments and the ever-improving Bitcoin lightning network payments system, which solves the Bitcoin scaling issue with a layer two solution. Other current solutions include building on top of an existing chain such as Ethereum. It is becoming more obvious that accepting Bitcoin via the lightning network payments system will solve many payment solutions. But many companies are also looking to utilize the blockchain technology that Bitcoin originally provided to create their own unique solutions. There are already some blockchain development platforms that offer payment solutions, such as Ethereum where you can create your own payment token on top of the Ethereum blockchain. This works to a point, but many are seeing that this method only creates a bottleneck with limited options. This leaves many startups and businesses still looking for a solution beyond simple payments or being tied down to another chains rules or limitations. Having your own blockchain and easily customizable plugin system is what most projects and businesses want. Let’s face it, building your own blockchain that can provide everything you need including payments is what you want, and if it can be adaptable with plugins and more in the future, it is precisely what everyone wants. Similar to what WordPress did for website creation, you will see this blockchain creation ability become a standard in the blockchain world. Some larger entities such as Facebook, IBM, and Wells Fargo even have extensive research and development budgets for blockchain creation and research. Some are even going as far as buying entire blockchain projects and teams to try and gain the upper hand. This large push into the blockchain world is not due to speculation or trading profits; it is based on fundamentals. Distributed ledgers have proved extremely useful and offer impressive benefits over simple databases. An example of the benefits could be in logistics or more specifically inventory control. Imagine a large retail business and its inventory tracking systems. This system is extremely costly and prone to human error, theft or even database corruption. Switching to a blockchain-based distributed ledger system would provide immutable records and no database corruption while allowing access worldwide at any time, regardless of computer failures or internet downtime. The records are always there and cannot be faked. This example of inventory control can also tie into an in-store payment token. The retailer could issue its own coin on a separate blockchain. Each purchase either using their own token and chain, other cryptocurrency, credit cards or even fiat could trigger an inventory adjustment on the inventory chain, automating their entire system. They could make the inventory chain private and the payment chain public, allowing their customers to interact and see their purchases while eliminating the need for physical receipts in some cases. This is just a quick example, and it could be much more complicated or much less complex. There are many advantages and many other examples. This all ties into easy blockchain creation. Many recent startups have chosen to build on top of an existing chain to get a payment token. This causes a bloating effect on proof-of-work (PoW) chains such as Ethereum. Building on someone else’s chain only allows you to utilize that chain’s specific parameters. If that chain gets too full, too slow, or goes down for any reason, you are stuck with that, and you go down with it. Creating your own blockchain is what many startups aspire to, but there is a scarcity of competent developers in our space which can make that goal extraordinarily costly and time-consuming. There needs to be an easier entry into blockchain creation and management. This is where projects like ARK come into play. 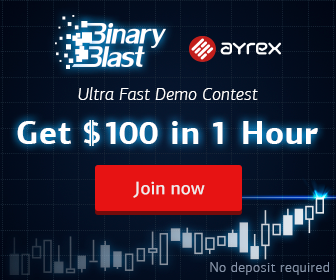 ARK allows you to create your own blockchain, public or private, and allows you to completely customize it for your specific needs. You can set your own block times or your own fees. You can even add your very own plugins and transaction types, which would be great for the example above as it would allow the creation of a specific transaction which could be the trigger for the inventory adjustment. Think of it much like a product code. With this blockchain creation system, anyone can create as many blockchains as they want, allowing all of them to run in parallel and easily communicate with each other and even other large chains like Bitcoin and Litecoin. This is what startups need and what many current projects will be interested in. This article is not meant as a sales tactic and full disclosure: I am a Co-Founder of ARK. But it is not a coincidence as I truly believe this is the future, along with the ability to interoperate and cross-communicate between all chains. Some other projects are going the same direction as ARK, like Wanchain and Komodo. Each project is filling a need in this space and providing solutions or working towards future solutions. This is where the future of our industry is heading and many startups and businesses outside of our small industry are waiting for ease of use to begin using blockchain technology. Once there are intuitive solutions such as graphical user interfaces (GUIs) that can facilitate easy blockchain creation we will see many teams and startups begin to move into these solutions. 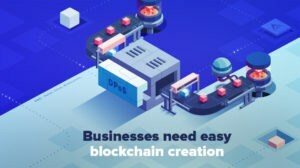 Startups Will Choose to Build Their Blockchains Using Customizable DPoS Interoperable Solutions was originally found on copy trading cryptocurrency | Blockchain News | Bitcoin News | blokt.com.